North American mink pelts have been selling for phenomenal prices in recent years, driven by a Chinese demand for their luxurious black fur. But the first auctions for this year’s pelts have not gone as well – the Chinese government has been clamping down on fur smuggling, and as a result some of China’s top buyers have been arrested! Others have stayed away in droves, causing selling prices to drop by 10-15%. Click here for more. My fingers are crossed this doesn’t reduce the fur farmers’ appetite for improving welfare (but I’m optimistic). Since Becky has a more than fulltime job at UBC, it’s been really tough for her to write up the mink enrichment work she did with me. I’ve been trying to help with bribery: her IEC hotel costs if she wrote up the Methods…(done), and Turkish Delight if she wrote up the Results – now pretty much done too. The rewards are not exactly proportionate, but as a long time fan of the Narnia books, it seemed wrong that poor woman had never tried Turkish Delight (and maybe it will even so bring her under my spell that the Discussion will just magically appear in my Inbox…). The concert hall at the Sydney Opera House holds 2,700 people. This blog was viewed about 8,800 times in 2013. If it were a concert at Sydney Opera House, it would take about 3 sold-out performances for that many people to see it”. These three mice are leaving their ‘sugarlump enclosure’ after a sucrose ingestion trial (in the dark, hence the mood lighting). 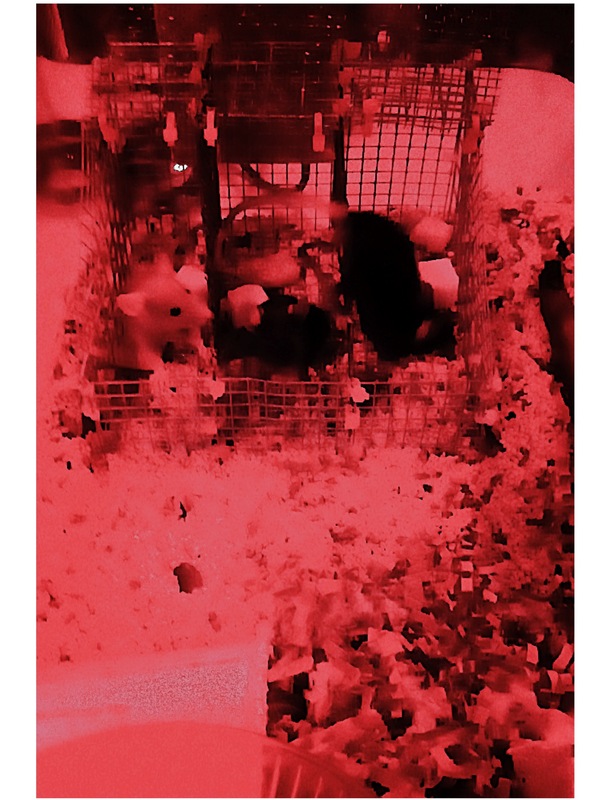 We use solid sucrose to assess anhedonia, and to get individual levels without stressing them, we habituate them to these ‘mouse cells’ placed inside their cage that they are shut into, all three in a row, for 30 minutes with a sugarlump each. On Christmas Eve Carole & I ran their third habituation trial, since obviously at first they find this process alarming. This was my first ever go, and I wasn’t good at shutting them in (there were escapes: my bad), but compared to previous trials they gnawed more at the sugar and peed less. We’ll know they are fully habituated when their intakes stabilise and (when summed) correlate with what the whole trio eats when sugar is just placed in the cage. Suspect Lil Bub of being Sylvie’s long lost mutant cousin (since Sylvie also has huge eyes and stubby legs – along with two fused toes); but that aside, could anything be more relaxing than an hour of purring & snuffling set against a crackling log fire? Thanks to Jamie for sending, and happy holidays! At the end of October, I read a fascinating PLOS ONE paper while researching for an ANSC*4090 lecture (on domestication). 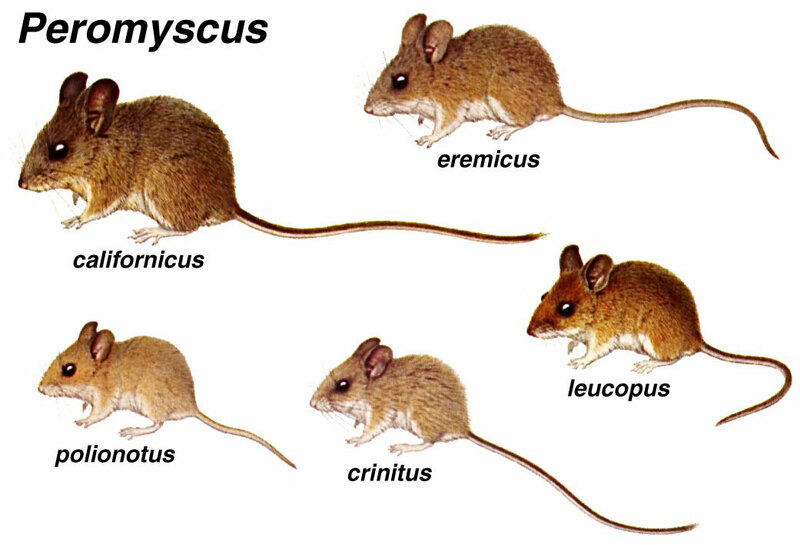 A Lincoln Park Zoo team held deer mice in lab cages for over 10 generations, and either subjected them to no selection, or to varying breeding regimes with different aims (one being to eliminate stereotypic behaviour, SB). In the groups where SB was not selected against, SB became more prevalent and time-consuming over the generations, and at the same time reproductive success in captivity increased. In the group where SB was selected against (the authors believing this would facilitate domestication), the animals became steadily harder to breed. My gut feeling was that inactivity was the reason – non-stereotypers are often very inactive, and this can both reflect stress (via fear-induced freezing/hiding) and cause health problems (via obesity and all the harms that brings). I therefore contacted Bob Lacy, the lead author, and asked if he still had the videos, and whether he’d let a student watch them for a project. Bob was enthusiastic. It also turned out he’d been on the ISIS Sci. committee that had given me and Heather’s project the thumbs up, only to have it over-turned by paranoid zoo directors; he was very nice about this too. He looked at the animals’ weight data, and found that just as I’d suggested, the non-stereotypers were distinctly portly. But when he looked at the vids themselves, he realised that an “inactivity project” sadly wasn’t feasible: the cameras focused on locations where mice stereotyped, with large areas of the cage being out of sight. So in the end my idea was a no go, but it was a really fun exchange of ideas and references. In the second week of Dec. we got back to our “logical reading” discussions after some gaps while I was in Europe and Miami. 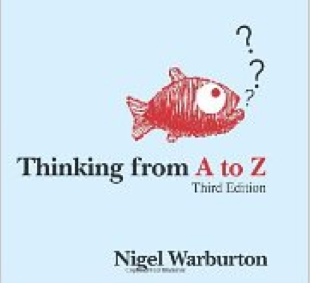 We had finished all the Fallacy Files’ informal fallacies in early fall, and so had spent the last few months covering scattered entries in Nigel’s A-Z book that we hadn’t read already. By mid Dec we were up to E, and ready to discuss “enthymemes”, “equivocation”, the “gambler’s fallacy” and “hypocrisy”. The word “enthymeme” is hard to slip casually into normal conversation, but is a useful term for an argument with hidden premises, i.e. one that sounds like an assertion, but which really does have premises — just unstated ones. Some also use it more broadly to also cover arguments with unstated conclusions (this sounds like a weird thing to exist, but sometimes people do just throw out statements that seem like arguments if you fill in the gaps for them: the conclusion just hangs there, unvoiced). The “gambler’s fallacy” is the belief that a run of bad luck must be followed by good: that statistically independent events at the card or roulette table somehow make up predictable patterns that one can benefit from. 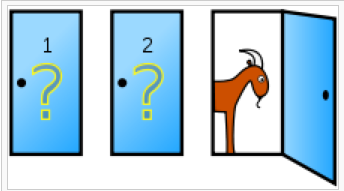 This is obviously bogus, but it led me to ask “Then why that really annoying probabilistic thing in ‘The Curious Incident of the Dog in the Night-time’ not the gambler’s fallacy?” This brainteaser is the Monty Hall problem, and goes as follows: in a game show, you are presented with three closed doors, behind one of which is a fancy new car, and behind two of which are goats. You pick one. The host, who knows what’s behind each door, opens one of the other two doors to reveal a goat. The question is: should you then switch your chosen door (assuming you want the car and not an adorable goat)? The obvious answer is no… BUT the right answer is actually yes (for reasons I had never fathomed). Everyone had heard of this before, but I think only Jamie had understood it. Even as Mike was crying, “No WAY!! It’s a TRICK!”, and as I was rocking too and fro keening “It’s just no good, I’m just never ever ever ever going to understand it…”, he leapt up and started explaining it on the whiteboard. This wasn’t my lightbulb moment, but it did make me wonder if maybe it wasn’t beyond me after all… so that night I searched YouTube and found this great vid. Thanks to it, and its helpful viewers’ comments, after years and years and a fair degree of outrage, I finally understand it! !